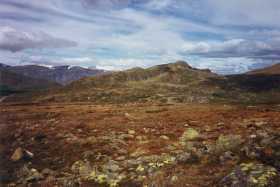 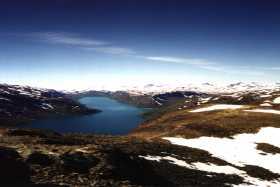 Jotunheimen (The Giant's Home) is a beautiful national park of lakes and mountains in the centre of southern Norway. 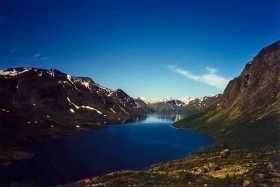 It contains Norway's highest peaks, Glittertinden (8110ft) and Galdh�piggen (8100ft). 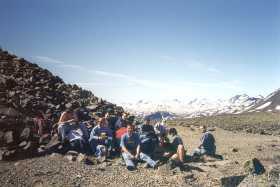 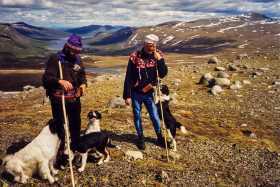 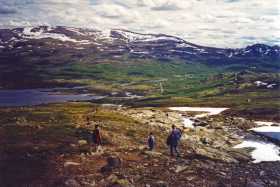 I spent two days hiking in Jotunheimen with a party from ISS on 3/4 July 1999. 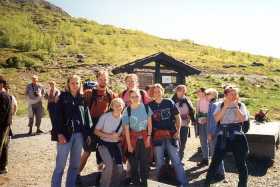 An early morning start was rewarded with bright sunshine - perfect weather for hiking in spectacular mountain scenery. 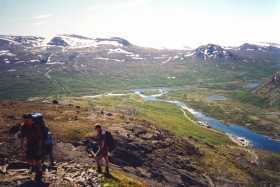 A four drive via H�nefoss and Fagernes brought us to the Jotunheimen national park, and a safari with a difference - Reindeer safari.